These Maple Leaf reclaimed pallet wood art pieces measure in at roughly 16"x16" and are sealed to be hung indoors or out. Each piece is unique as the character of the wood changes with each piece. 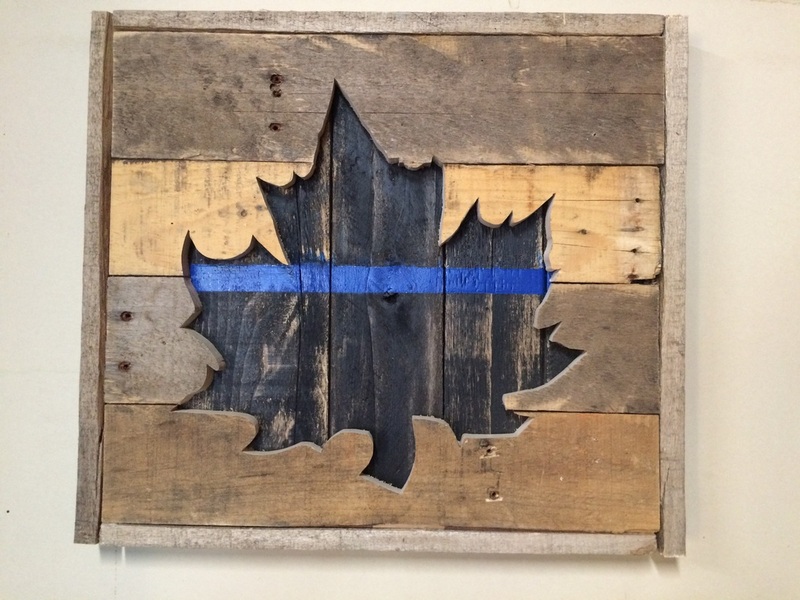 This thin blue line inspired Maple Leaf art piece showcases your support for law enforcement in Canada. Show everyone you know you Back the Blue with this reclaimed wood art piece. Suitable for indoor and outdoor application, this piece measures roughly 16"x 16". Each piece varies in colors and character as the wood is selected. 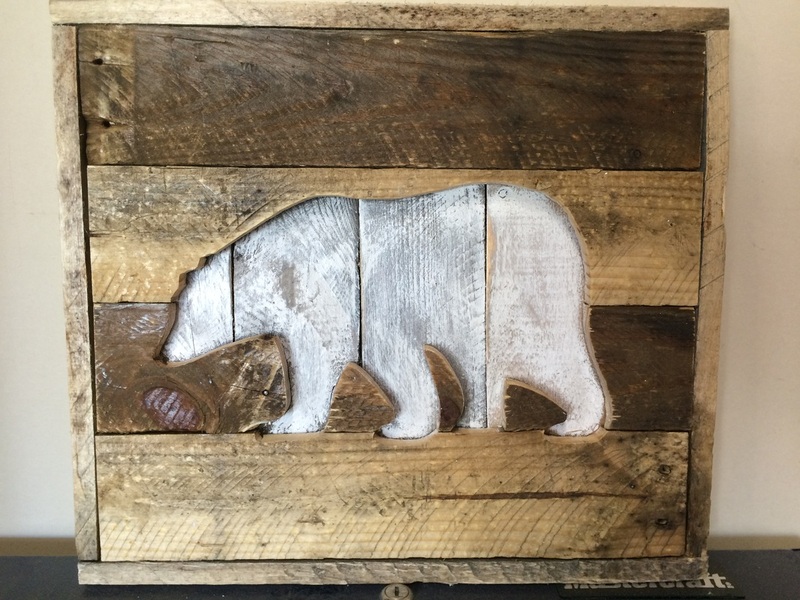 This Polar Bear art piece is made of reclaimed pallet wood and measures roughly 16" x 16". It has been sealed to make it suitable for hanging either indoor or outdoors. Custom sizes available. Contact us for details. 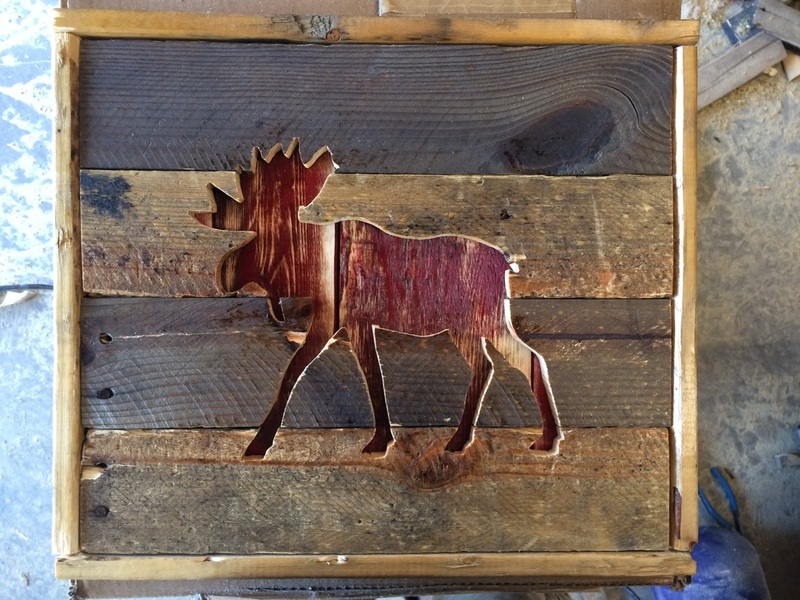 This Moose art piece is made of reclaimed pallet wood and measures roughly 16" x 16". It has been sealed making it suitable to be hung either indoors or outdoors.